Due to an overwhelming number of users missed the Black Friday Offer, along with the release of the November template - Sj Clinic, we would like to extend our Black Friday offer until November 30th, 2018. 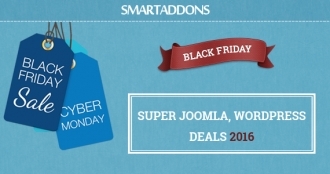 In this extended sale, SmartAddons offers 30% OFF all our products at SmartAddons Store including Joomla and OpenCart Themes and Member Clubs as well as Renewals. Limited time, so don't miss out this big savings again! To celebrate this awesome season, we have revealed exciting coupons to help you to save you bucks on Joomla products, WordPress themes as well as SA Memberships. The offers will be available till the Cyber Monday. It's time to save your money. So, don't miss this interesting chance. We wish SmarAddons folks a happy Thanksgiving and the best upcoming Black Friday! What's more exciting than a SALE on Black Friday? 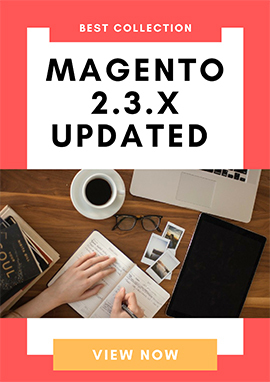 This season sale, we release big coupons than ever to help you save big bucks on Joomla, Magento, Wordpress Themes and extensions. These awesome offers will be available til the Cyber Monday next week, but you have 3 days only to save up 50% OFF. It's time to save your money. You don't want to miss the chance. Also, we are delighted to bring to you more Joomla! 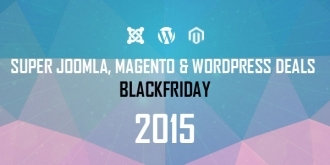 deals also from our friends and other Joomla service providers.